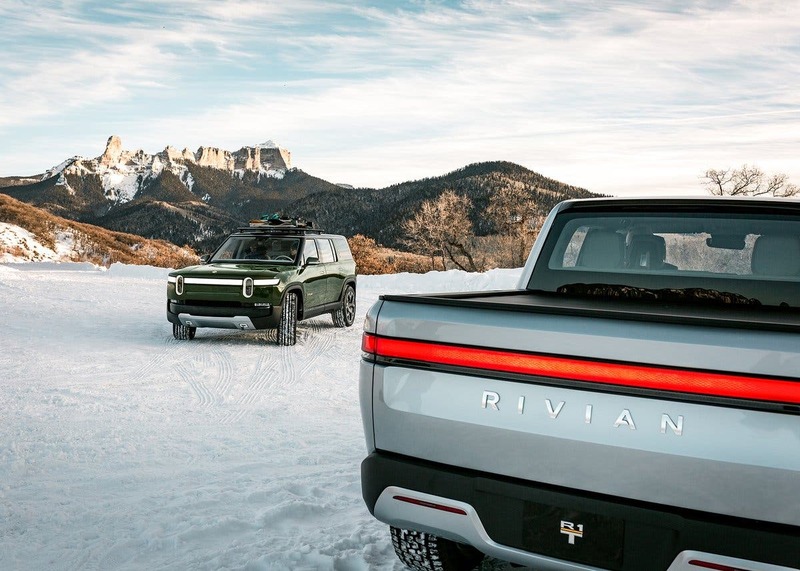 Rivian, the electric truck and SUV startup based in Plymouth, Michigan, has attracted a lot of attention. Recently, the privately held company completed a $700 million funding round led by Amazon. It also has financial support from Japan’s Sumitomo Corp. and Saudi auto distributor Abdul Latif Jameel Ltd., according to a report by Fortune. That report claims talks were underway between Rivian and General Motors that could have led to The General purchasing a stake in the startup. Rivian’s first vehicles — introduced last year at the Los Angeles Auto Show — are the darlings of the EV world right now, as they are both large (some might say extra large), something that appeals strongly to American customers. When we say large, we mean bigger than the Tesla Model X, and significantly larger than the forthcoming Tesla Model Y. Yet despite their bulk, both are said to be capable of traveling more than 400 miles on a single charge, something that also appeals strongly to prospective American customers. In the US, bigger is better and General Motors is hot to get some Suburban and Silverado sized electric vehicles into its lineup. All of its current EV options are small and midsize vehicles. A linkup with Rivian would speed those larger SUVs and trucks to market. Without it, it could take GM years longer to get such vehicles into showrooms. For whatever reasons, Rivian founder R.J. Scaringe tells Fortune he prefers to keep his options open and that the talks with GM have ended. Apparently, there are plenty of suitors buzzing around Rivian’s door and the company can have its pick. Scaringe said in February that his company is interested in marketing its EV technology to several customers. Perhaps GM wanted exclusivity and Rivian preferred an “open marriage” arrangement? Rivian expects to begin production of its first vehicles in 2020 at the factory in Normal, Illinois, it bought from Mitsubishi in 2017 for the bargain basement price of $16 million. Another EV startup called Tesla started off in much the same fashion, purchasing a shuttered factory in Fremont, California, from General Motors. Heard of it?